Today, we will cook-up some galchi. Galchi is better known as beltfish or hairtail fish. Long, silver eel-like fish. They’re real ugly but taste delicious! 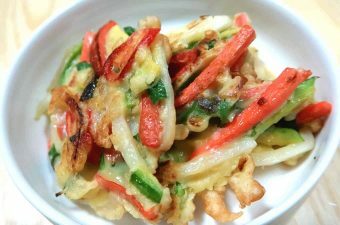 We will pair it with two other delicious banchans: Spinach Kimchi & Shiitake-Zucchini Stirfry. 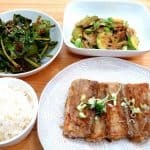 Koreans typically cook fish with the bone-in. Then, we pick them out with chopsticks as we eat. Galchi, however, has many small bones at the top and bottom of its body. If you are not too saavy with chopsticks, I would recommend filleting each of the fish cut. Here is a good YouTube video for that. 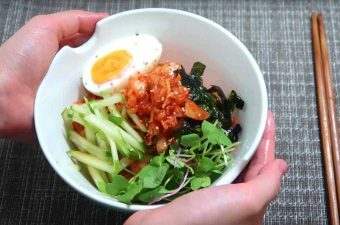 Today, we will pair galchi with a bowl of Spinach Kimchi. Well, not really Kimchi – more like a simple salad. But the salad marinade tastes very similar to Kimchi paste. My mom was fond of this salad as it was fast-to-make and complements any meat dish. You can throw in other greens like arugula and radicchio for more variety. At home, my mom likes to serve a small meat dish next to fish. Surf n’ Turf – as they say 🙂 Today, we will not cook meat. But replace it with Shiitake Mushrooms. Pan-fry and toss these mushrooms with sliced zucchinis. The two work well and make for a well-balanced meal. As always, no need to stick to the script. Feel free to mix and match with other banchans. Enjoy the rest of the week Neighbors! 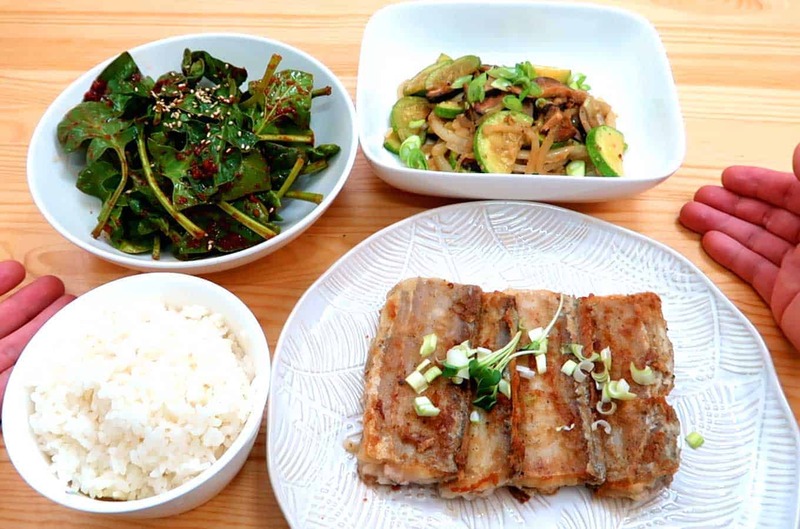 A set-menu featuring pan-fried galchi, spinach kimchi and a shiitake zucchini stir-fry. A whole lot of vegetables and a tasty fish. Remove all innards and clean the fish. Then use your knife to scrape off the silver skin (reference video). Give each piece a thorough rinse under running water. Then let it drip-off any excess water. Take out a mixing bowl. Place each fish cut (or fillet) in. Pour a few splashes of mirin onto them. Use your hands to soak each piece in it. Then put each fillet onto a cutting board. Season both sides with salt and pepper. Then put each fish piece into a plastic bag. Pour a few shakes of flour into the bag. Then seal the bag and give it a nice shake. Each piece should now be thoroughly coated and ready to fry. Put your frying pan on a medium heat. Put some oil in. Once it is hot, place each fish piece in. Cook both sides until you get a golden brown. Give your spinach a rinse under cold water. Let it drip-off excess water. Then make the marinade: Mix gochuargu, sugar, minced garlic, soy sauce and sesame oil. Take a few spoonfuls of this marinade and place into a bowl. Then toss the spinach in it. Cut mushroom, zucchini and onions into thin slices. Take out a small mixing bowl. Place zucchini slices in. And season them with a few shakes of salt (not too much!). Set aside. Take out another mixing bowl. 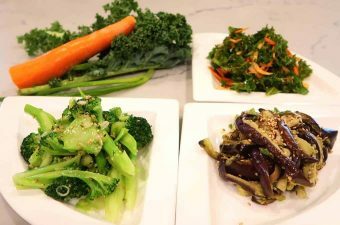 Make mushroom marinade sauce. Then place the mushroom slices into the marinade and give a quick mix. Set aside. Now take out a large frying pan. Put some oil in and place on a medium-high heat. Once its hot, place the mushrooms in. Once the mushrooms get a slightly crispy side, add in the zucchini and onions. And once the zucchinis start to slightly wilt, add in the ingredients listed under Stir-fry Seasoning. Stir-fry everything for 15-20 seconds. 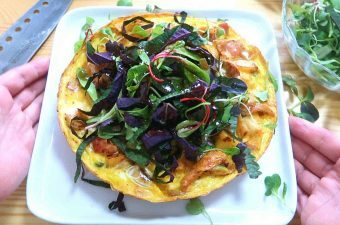 Plate and garnish with spring onions. Bon Appetit! Galchi has many small bones, so I would recommend filleting it first. 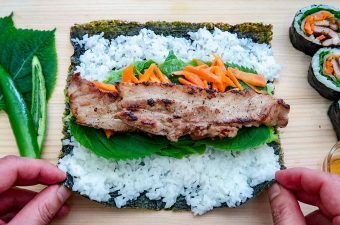 Samgyeopsal Kimbap – Party of One!